Born in 1954 during a zombie moon, suckled by rabid ferrets, he would grow up to be the best thing for film since Ed Wood and the House of Hammer. As a teen, he was sponsored by legendary Japanese actor and cinema samurai, Toshiro Mifune, and worked under the shogun of all directors, Kurasawa. Then he took that auspicious beginning and did mad science to it. 1982 had seen Conan bulge into the box office. 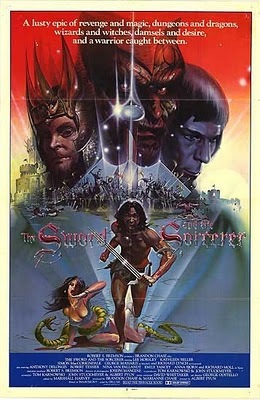 Pyun struck while the riddle of steel was hot, and rammed Sword and the Sorceror into my teenage brain, where it quivers still like only a three-bladed sword can. When Pyun helmed Cyborg in 1989, and showcased Van Damme in the best post-apocalyptic-combat-chase scene ever, I knew scifi had found its true master. Who else could rule over the B-movie kingdom with such verve? Who else could scramble for every camera lens, and shoot two movies at once? Pyun! Who could write, direct and sometimes edit his own films? Pyun! Yes, he gets massacred by executive producers, but only Pyun could work with supermodel Kathy Ireland and Snoop Dogg. 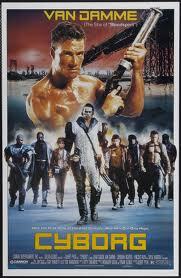 Only Pyun could put Christopher Lambert and Ice-T in the same movie. Only Pyun could reuse the sets and props from the aborted He-man sequel and use them in Cyborg. Only Pyun could put “heroic” Andrew Dice Clay with hottie Teri Hatcher in 1993’s Shaolin monktacular masterpiece, Brain Smasher. He’s got 47 movies to his credit, and it will probably be 50 before I finish writing this post. Here’s to you, Mr. Pyun. At least you’re not Uwe Boll.